On 24 December 1968, Apollo 8 astronauts William Anders, Jim Lovell, and Frank Borman reached lunar orbit, allowing them to become the first humans in history to witness an Earthrise. The images captured that day, showing our planet in context with the lunar landscape, remain among the most enduring photos taken during the Apollo programme—and human history for that matter. It was during their fourth orbit around the Moon that the iconic photograph was captured. Grabbing his camera, Anders captured the scene. 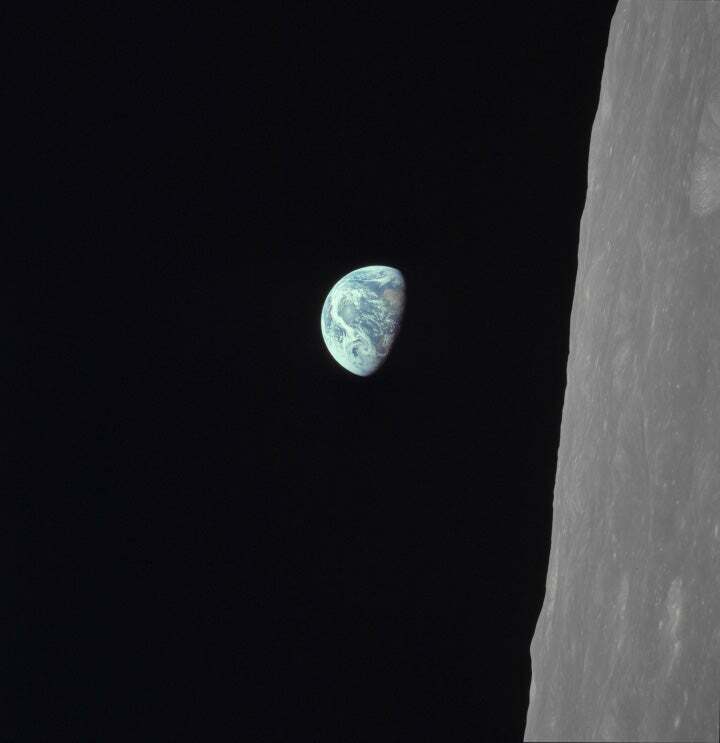 Today, the Earthrise photo is often oriented to show the Earth above a horizontal plane, but the photo was actually taken via the vertical plane (as shown here). Looking at the photo, you can see the sunset line extending across Africa and Antarctica, while North and South America is heavily shrouded by clouds. A black-and-white photo of the Earthrise was taken on the same day, showing the Earth rising over a horizontally oriented surface. 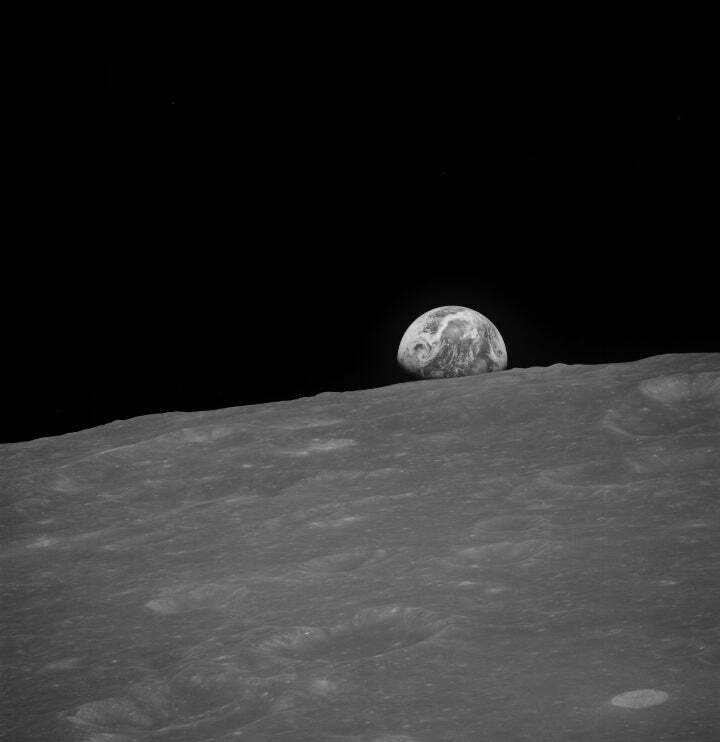 The photo, likely taken by Anders, was captured when the Apollo 8 capsule was at 100 degrees east lunar longitude, showing a lunar horizon line that extends for about 250 miles (570 kilometres). Back on Earth, an estimated half a billion people tuned into the Christmas Eve broadcast—the largest television audience up to that point. Looking the Moon, Borman was struck by its dead and lifeless appearance.